Whether a manufacturing line, construction site, refinery or vineyard, you can monitor production status in real-time and trigger alerts. No Internet? No problem – scan offline and upload when connected. Track production flow, on-site and remotely. Build the workflow and then authorize employees and subcontractors to scan step-specific barcodes when they start and complete that step. Missed a step? Show as an Invalid scan. 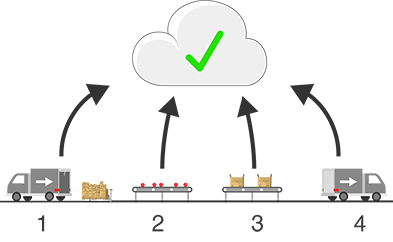 Track unlimited processes and locations simultaneously. Setup a single workflow for all tasks and locations or a specific workflow for each task and location. 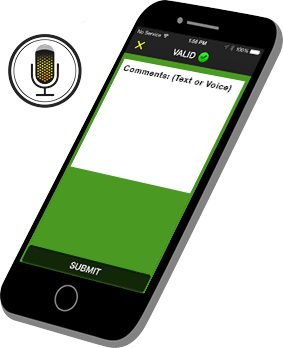 Scan records can include text or voice entries, drop-down menus, photos and secondary scans. 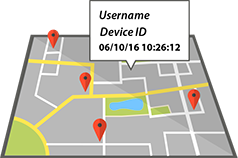 Your app users can optionally collect supplemental data after each scan. Defective material? Scan the serial numbers and/or take a picture. Deviations from the standard process? Document it. Post scan records in real-time or offline with auto sync in the background. In remote areas and inside some facilities Internet connectivity can be unstable. With offline auto sync, scans are stored on-device until connectivity is restored. Not only can you track work in process but you configure your app workflow for many other applications, including inventory audits, shipping and receiving, asset tracking and more. A/B Compare for verifying step and material used. Compare a work order’s barcode with the station’s barcode. Compare the specified material’s barcode with the actual material’s barcode before using it. If matching, the app user sees a Valid screen and Invalid if not. Capture a timestamp on start and finish to track duration. Capture other scan properties for formal record keeping, especially for remote locations and when records are required to demonstrate compliance. 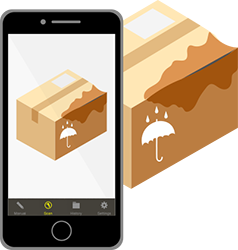 Have your app users take photos of their completed work and document any problems. Also show them photos of their task. Even show web content with detailed instructions. 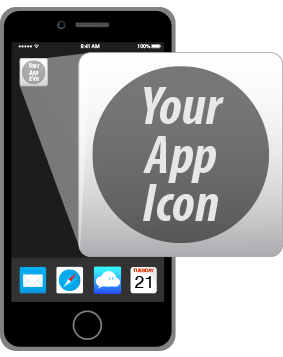 Your app users can use their own devices. 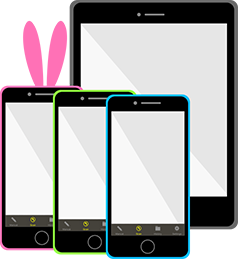 Issue new or refurbished devices to employees, but ask subcontractors to use their own smartphones – especially if remote or a sudden, time-critical need. Customize the workflow for every work order as needed. Add instant visual and textual instructions for each step or connect to instructions hosted on the web. Issue app credentials for each worker via the web or API. Schedule removal or manually remove access at any time. Track their performance on your own servers and databases. 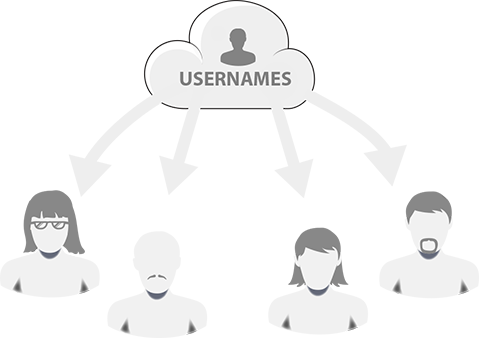 Post scans to our server or yours, to cloud databases or integrate with your back-end. Store, filter, view, export and share your scan records on our server. 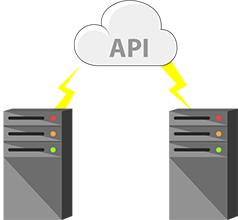 Retrieve with our API or post scans directly to your cloud-based or local servers. Fastest WIP barcode scanning app. 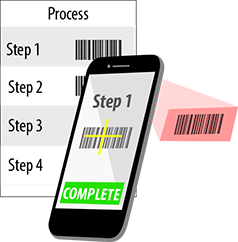 Generate new 2D barcodes or use the barcodes you already have. You can optimize scanning with the built-in cameras for 50+ barcodes. It’s not just scanning – its also lightning fast data processing on our servers. Use your devices, with our without barcode scanning accessories. Prefer ‘point and shot’ scanning? No problem – you can use scanning accessories, too. 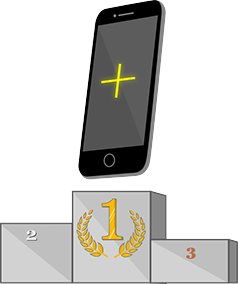 Already have devices? Often you can use them, too. Are you a service provider? We’ve got a white label version for you! For a nominal set-up fee you can publish the white label version on the stores. Add your in-app links for ‘Contact Us’ and Help” and even localize much of the default in-app text with your own text. Track duration for many workers at once. Have them scan their ID to start and scan out when done. Need duration by task and worker? Have them scan the task’s barcode from the work order and then scan their ID.